The World Health Organization has identified the person responsible for starting the swine flu pandemic…. I made the following presentation for Dr. Sammy Campbell’s “Challenges in Local Missions” class at Southeastern Bible College this morning. I was asked to share what partner churches can provide to help church plants. View more presentations from georgehicks. Read the rest of Shaun’s post here. North Point Ministries has recently launched a site called InsideNorthPoint.org to share with the public how they work in particular areas of the ministry. Today’s society is no different as we see shallow, selfish people worshiped because of their perceived beauty or influence. I recently watched one of the most incredible examples of our tendency to judge based on appearances. 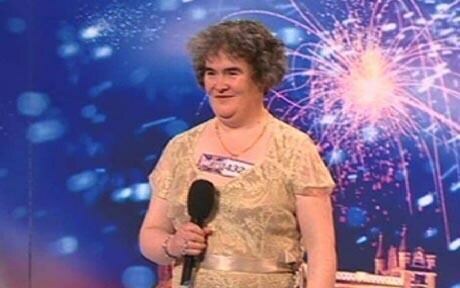 A woman named Susan Boyle appeared on the showBritain’s Got Talent and gave a ovation worthy performance. Ms. Boyle is a 47 year old unemployed woman from a small community in Scotland. She volunteers at her church. She admits that she has never been married or kissed by a man. Her awkward mannerisms and frumpy appearance gave the audience the ticket to openly laugh at her when she shared her dreams of becoming a famous singer. Their laughter and cynicism quickly dissapeared as soon as Ms. Boyle opened her mouth to sing. The judges and audience alike were astounded by what they heard. I teared up when I saw this because I was reminded that we all desire to be noticed and to be important. Our society’s bias against those of us who are plain, normal, or outright unacceptle to their standards has crushed many people’s dreams. The amazing thing is that God doesn’t judge by those standards! His Word says that He created us and that we are “remarkably and wonderfully made (Psalm 139:14).” God has a plan for each of us and it includes every one of our days (Psalme 139:16). His plans for us are to give us abundant life (John 10:10). He has given each of His children remarkable gifts and talents that can be used to glorify Him. P.S. I also enjoyed Eric Corpus’ article on the performance. Read more here. I saw an incredible time lapse video this morning showing a man who was pulled into the ocean while fishing. The video alternates between the plight of the helpless man and the activity of the rest of the crowd on a nearby beach. I was moved by the thought that this is the same thing that happens to many of us. How many people are being drowned by challenges of life while the rest of us enjoy the good times. I was challenged to be aware of the people around me that are drowning and to stop long enough to help. Watch the video and see what you think…. We had an incredible Easter service at Mountain Valley! I’m so thankful for the hard work that our volunteers invested in setting up for worship, ministering to guests, teaching the children, and leading in worship. I pray that we won’t let the celebration of Jesus’ birth, death, and resurrection fade. Join us this Sunday as we continue our series called “Hope”. We’ll look at how to have the abundant life that Jesus promised us even in difficult times.